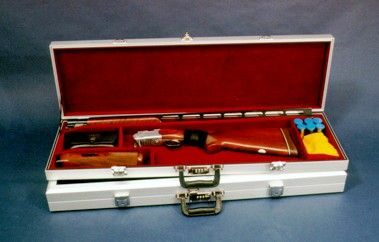 Outside Dimension 37" x 9" x 3-1/2"
This is the most compact case for a trap gun with one set of barrels. For an overall barrel height greater than 2-1/2", see stock # 2010 and stock # 2003. For a taller stock compartment, see stock # 2011.